Air101: Stobart Air poised to take over FlyBe? Stobart Air poised to take over FlyBe? Stobart Air is poised to buy out the troubled British regional airline Flybe, according to Sky News, it is being reported this week. The broadcaster reported that Bankers at Evercore have been brought in to handle talks about a potential deal, which could see the two firms merged or the FlyBe Group taken over completely by Stobart, who also own Southend Airport. Flybe has been struggling for some time and recently issued a profits warning, it is expected to lose £12m this year alone, citing Brexit uncertainty, higher fuel prices and the falling value of the British pound as the main causes of its financial hardship. 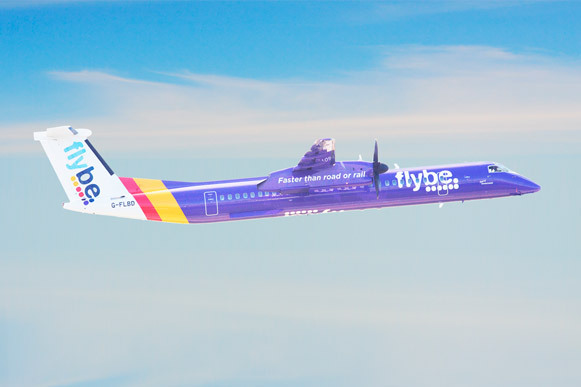 Another airline said to be interested in taking over the Exeter based FlyBe, is the regional airline Eastern Airways, owned by the Bristow Group. Eastern Airways operates a mixed fleet of British Aerospace Jetstreams, Saab 2000s, ATR72, Embraer E135, E145 and E170 jets on routes within the UK and to Europe. Neither FlyBe, Stobart or Eastern have made a public statement about the news reports at this stage, however an announcement is expected imminently.